David Wicai submitted this photo and caption. 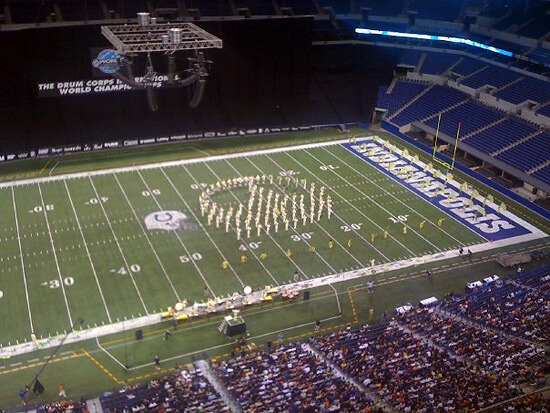 This is a photo of the Crown set in Crown's 2009 World Championship Semifinals performance from the press box. Kayla Swift (Drum Major, Teal Sound), Debbie Swift (Teal Sound Admin) and I (2007, 2008, and present member of Carolina Crown's contra line), got VIP tickets for the press box. Getting to see all of the performances that night from this vantage point will be something we will never forget.